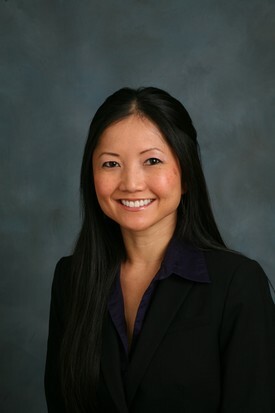 Dr. Wandy Tsai attended the University of Washington in Seattle, where she earned her Bachelor's Degree in Biochemistry. After completing her Doctor of Dental Surgery Degree at the University of Pacific (UOP), Arthur A. Dugoni School of Dentistry, Dr. Tsai invested an additional year of elective education in UOP's Advanced Education in General Dentistry Program. Dr. Tsai can easily identify two reasons that inspired her to become a dentist - her personal challenges with oral health and her various experiences with dental care as a child. Since opening her practice in 2003, Dr. Tsai draws from those experiences in order to provide high-quality, personalized care for her patients. "I had my share of cavities growing up and I can recall how it made me feel emotionally and physically. I also remember how I would be excited to see certain dentists because of the way they interacted with me. I want my patients to have positive experiences when they are done with their appointments so that if they ever needed to see us, they wouldn't hesitate to call." Dr. Jennifer Luu received her Bachelor of Science degree in Biology with an emphasis in Physiology at the University of California, Davis. She then attended the University of the Pacific, School of Dentistry and received her Doctorate of Dental Surgery degree in 2002. 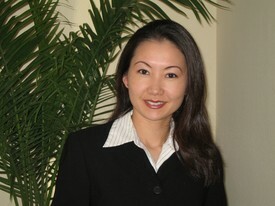 Dr. Luu is very passionate about dentistry and the care she provides to her patients. Patients come to Dr. Luu for her kind and gentle nature, her artistic dental skills, and the personalized care she provides. 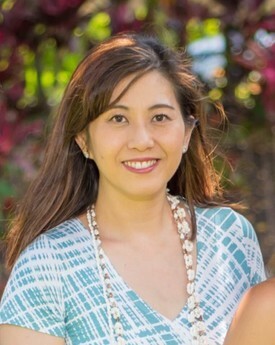 Dr. Luu takes pride in her dentistry and the long-lasting relationships she builds with her patients. She dedicates countless hours to professional continuing education so that she can provide the highest quality care in all facets of dentistry. "My philosophy is to provide patients with quality comprehensive care in a comfortable setting. It is my goal to ensure every patient has a positive dental experience. My commitment is to listen to the patient's needs, thoroughly explain procedures, and perform gentle, caring dentistry." When Dr. Luu is not practicing dentistry, she enjoys spending quality time with her husband, Jonathan, and their two young daughters. Dr. Luu enjoys the great outdoors, including hiking, backpacking, and traveling. Dr. Juliet Wouden received her Doctorate of Dental Surgery in 2003 from the University of California at San Francisco where she was recognized with Clinical Excellence. Previously, she graduated from the University of California at Davis with a degree in Biology and emphasis in Physiology. Dr. Wouden continues to pursue active education in the latest dentistry techniques. She is a member of the Academy of General Dentistry and the California Dental Association. She has achieved advanced certification in laser dentistry by the Academy of Laser Dentistry. Patients come to Dr. Wouden not only for her gentle and caring nature, but also for her attention to detail, her artistic hands, and the high quality of her work. Her passion for dentistry and sincere interest in her patients make her patients feel welcomed and at ease. Dr. Wouden and her husband, a Washington hospital physician, enjoy spending quality time with their two children. You might find them playing tennis, hiking, biking, swimming, or camping.